The English language is ever-changing. New words—and phrases–seem to crop up almost every day. They hang around, and eventually some are formally accepted as mainstream language. Sometimes they are brand new words and other times an old word takes on a new meaning. 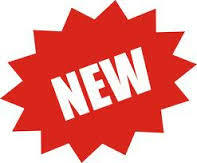 The label for these new words is neologisms. Google – To look up info on the internet. It has somehow become a verb too. App – A software application, usually for a smart phone. This one seems to have come on fast. Spam – The annoying junk emails used an existing word. Troll — An anonymous person who posts inflammatory, rude, obnoxious or hurtful comments to an online offering. Muffin top – This terms is for the roll of fat that appears at the waistband of pants. Staycation – This means taking a vacation at home or near the home. It became popular during the time when the price of gas skyrocketed. One last neologism came and went fast. That is Tebowing. The kneeling and praying stance taken by once NFL quarterback Tim Tebow left along with him. It seems that the term being the question gets misused—even in newscasts. Even though I taught logic at the college level, I had to do some research to remember what begging the question means. The fallacy of “begging the question”, is committed “when a proposition which requires proof is assumed without proof”. 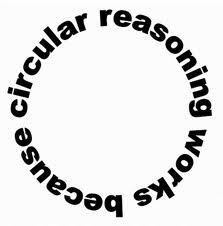 If someone is begging the question, he or she is are using circular reasoning. The term originated in the 16th century as a mistranslation of Latin petitio principii “– assuming the initial point”. A prosecutor speaking to defendant: So how did you feel when you killed your wife? Jones is the most successful mayor the town has ever had because he’s the best mayor of our history. Smith was the best candidate for president, because he was better than any of the others. Scrabble , the word game, has been part of my life for years. I remember playing it with my parents years ago. I think they were trying to strengthen my vocabulary and spelling. 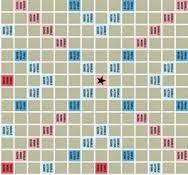 Now, I occasionally take a break from work to play the online version of Scrabble. It allows me to play the computer or others online. Imagine my surprise recently when I saw an article from the Associated Press by Leanne Italie telling of 5,000 new Scrabble words. The article referred to the new version of Merriam-Webster’s “The Official Scrabble Players Dictionary: Fifth Addition.” I imagine it is available online or at your local bookstore. 4. can’t be an abbreviation. One word that Scrabble players need to remember is “quinzhee.” Played in the right place on the board, this word for a shelter hollowed from a pile of snow, garners 401 points. This includes the 50 point “bingo” for using all seven words. Another high scorer is qajaq, which is also a palindrome. On a smaller scale, you can now use te, da, gi and po if you are stuck for a short word. Some of the words added to the Scrabble dictionary reflect our modern terms like buzzkill, funplex, joypad, mixtape, mojito and sudoku. This all makes me want to dust off my old scrabble board.